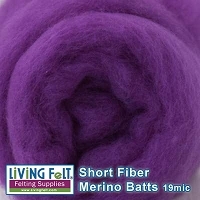 Short fiber Merino Batts are approximately 19 microns and absolutely Divine to wet felt with. 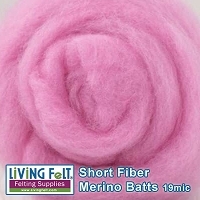 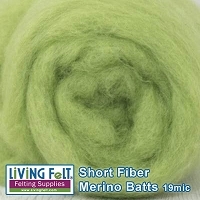 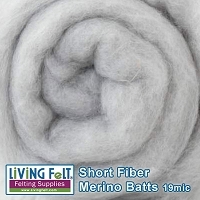 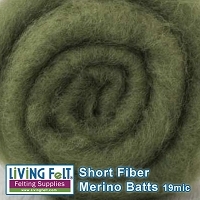 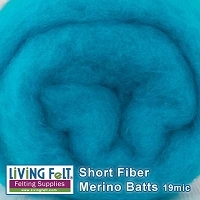 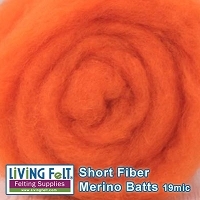 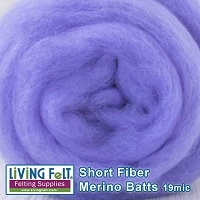 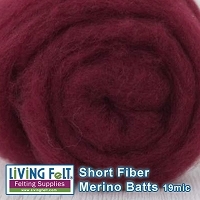 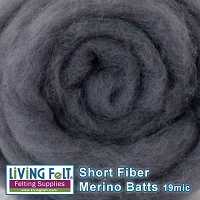 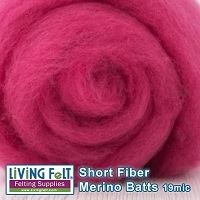 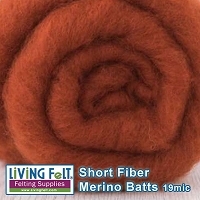 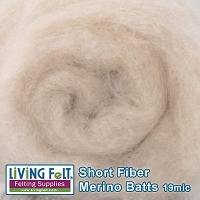 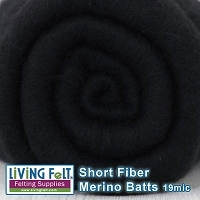 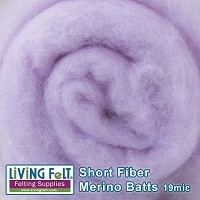 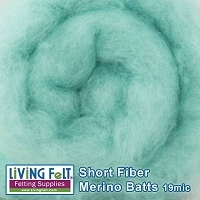 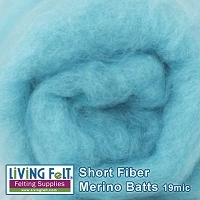 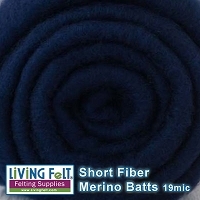 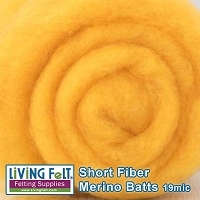 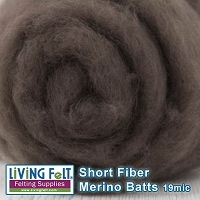 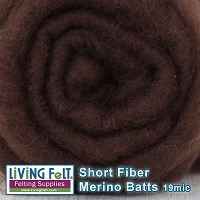 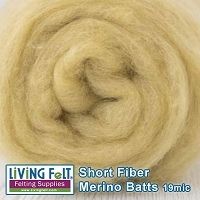 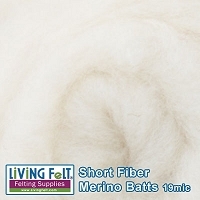 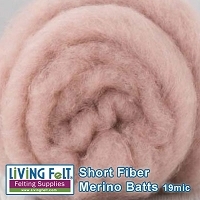 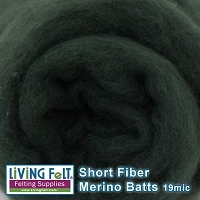 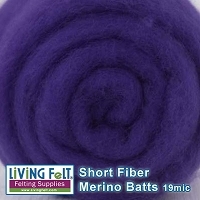 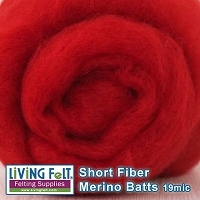 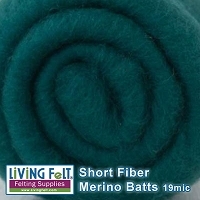 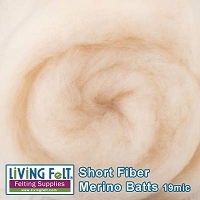 You will love the tight, smooth finish you achieve in wet felting with these merino batts. 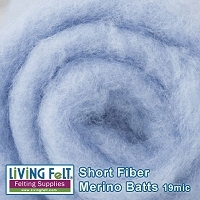 These are ideal for wet felting dimensional items including beads, canes, 3-D design elements, vessels, hats, etc. 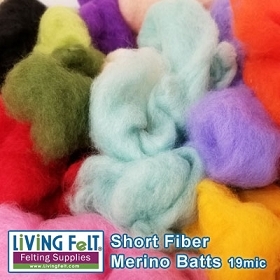 The colors are dyed solid. 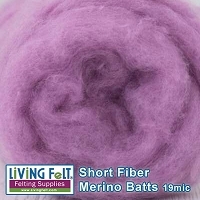 Priced per ounce and sold in 4oz increments.